If we've been reminded of anything in the last few months of 2012, it is that life is fragile and short (even if you are lucky enough to live to be 100+). Life is a strange, beautiful, painful, joyful process. There are highs and lows. Growing moments and moments of complete devastation. We mourn and we celebrate. We cower and we thrive. In moving through this journey of contradictions, the biggest favor we can do for ourselves is to celebrate the time we have. 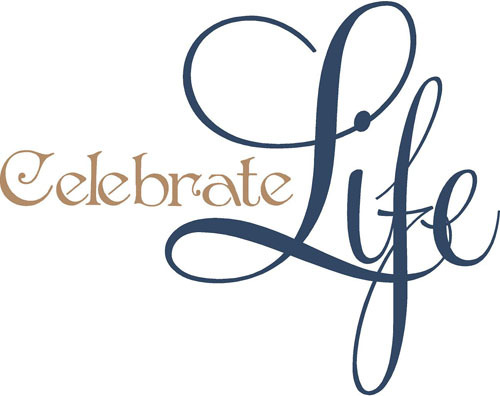 Celebrate for your own well being, celebrate for those you love, and celebrate for those you've lost as a memorial to their lives. Celebrate for the higher power that gave you life. Also know that everyone doesn't feel like celebrating. Lift those people up in any way you can and help remind them that there is still good in the world. Be the celebratory moment in their day. I know Christmas is Tuesday so it is logical for me to do a festive winter wonderland-esque playlist. Well, I already did one of those, so today, I am doing a playlist filled with positive, uplifting songs about finding the love and joy in life and hitching your kite string to it. May you soar into the New Year with lessons learned in 2012 firmly planted in your mind and a song in your heart. If you celebrate Christmas, Merry Christmas. Happy New Year (though I will post at least once more before then)! Cheers!